Dr. Erdem is a renowned academician, lecturing as an associate professor of civil law in Galatasaray University. In parallel with his academic career, he is an Of Counsel in Boden Law. Dr. Erdem has specific experience in International Chamber of Commerce (ICC) and ICSID arbitration proceedings where he has served both as attorney and arbitrator. He has published numerous articles and books which have been referred to by academic works, prestigious publications and the Federal Supreme Court of Switzerland. 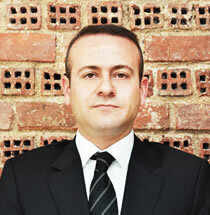 He lectures in civil law (property – family – inheritance law) and law of obligations (contract law).